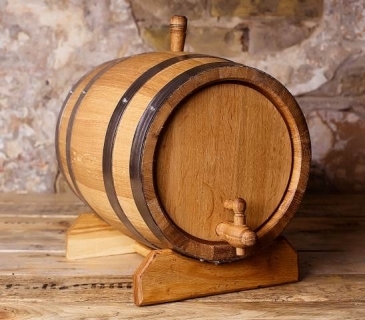 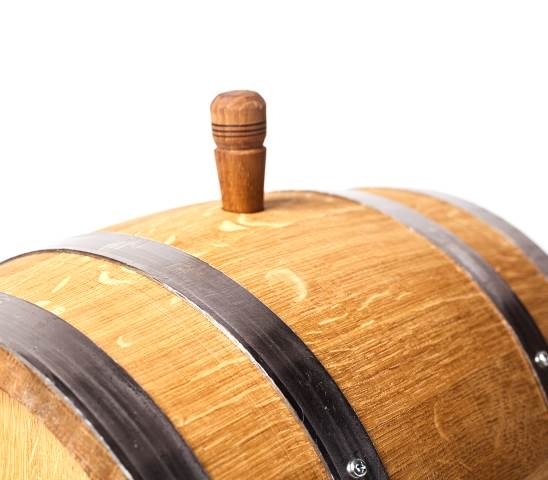 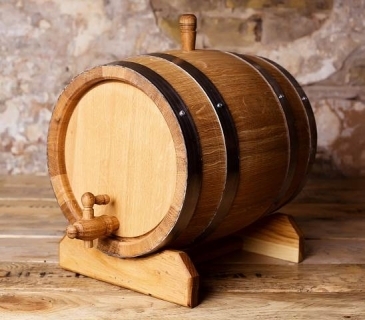 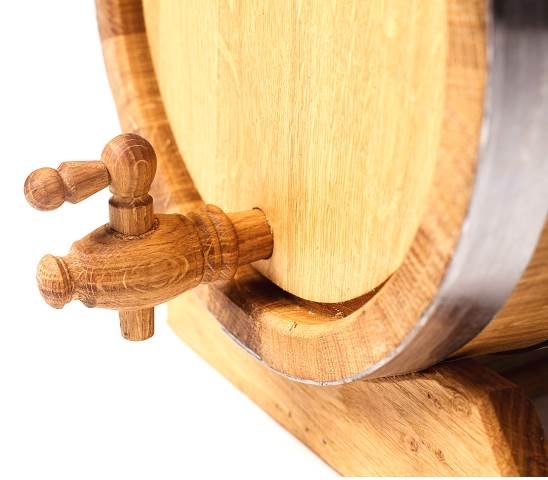 - One set includes: 30 litres oak barrel with stainless hoops, oak tap, oak bung and oak stand. 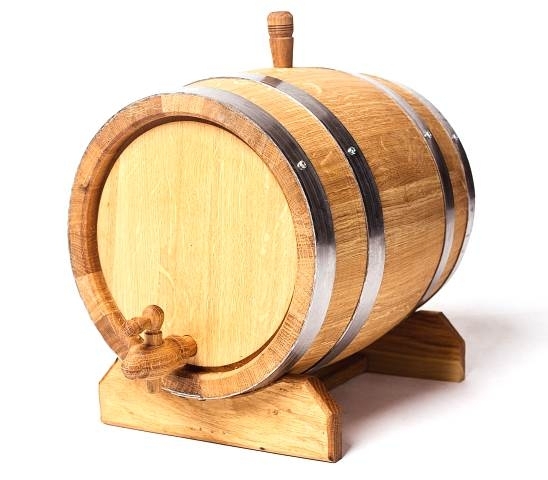 - Finsh: coated with natural linseed oil outside (uncoated barrels - natural oak finish upon request). - Dimensions: 43*38*38 (44 cm with stand).